The media are full of reports of banks and credit companies writing off millions of pounds worth of personal debt. Banks and credit companies will not simply write off bad debts until they have tried a number of ways to recover their money. Banks in the UK wrote off a record breaking £6.8 billion pounds worth of individual debts in 2008. This does not mean that banks are simply letting people not pay their loans and credit card bills. This amount is more a case of struggling debtors becoming insolvent and using debt solutions such as IVAs and bankruptcies. Home repossessions also accounted for a percentage of the write offs, and the year 2009 looks set to become a record breaker for house repossessions. Make no mistake that banks and credit lenders will pursue bad payers relentlessly; they will not simply write off a debt. Lenders have a number of options open to them and these options will depend on whether the credit is secured or unsecured. One of the options available to the lender is to pass bad debts onto a debt collection agency. This will not only mean the debtor has to pay the amount owed but also the collection agencies fees and charges. Lenders also have the option of taking bad debtors to court to recover their money. Whether or not court action goes ahead is dependant on the amount owed. If the debt is small enough the lender may not think it is worth their while taking court action. However, some lenders will use this route no matter what size the debt is. In the last year property repossessions have risen dramatically. Repossession is an option available to lenders if the loan or credit taken out was secured on the borrower’s property. In certain cases the borrower can lose their home and still owe the lender money on any shortfall from the sale of the property. Lenders can pursue the debtor for money owed for a period of 12 years in the UK or five years in Scotland. A number of debtors use insolvency options as a way of restructuring their debts and paying creditors. However, creditors will only receive a percentage of the money they have lent; usually around 30% of the debt. In this case lenders may have to write off a large percentage of the money they are owed by debtors. 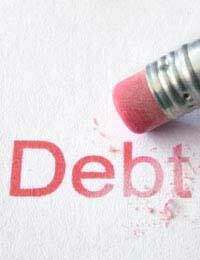 Bankruptcy is another option for debtors if they are in a serious amount of debt. Bankruptcy can mean that creditors will write off all or a percentage of the amount they are owed. If a lender does eventually write off a debt this will not simply be the end of the matter for the debtor. Lenders will place bad credit references with a credit reference agency and this can follow the debtor for many years. Debtors will find it hard or impossible to gain loans or credit. Bad credit records can have a very serious negative effect when a debtor applies for any type of credit including renting accommodation or even services such as installing a telephone. Companies that offer high interest loans with little or no credit checks are the major winners during an economic recession. People with bad credit records who find it hard to obtain low interest credit may have no option but to apply for high interest loans. The interest rates on these loans are extortionate and can lead to even more serious debt problems. Debtors can only be pursued for their debts for a certain amount of time; after this time is up the debt will be written off. In most cases a debt will become unenforceable after six years of no contact between debtor and lender. However, there have been cases of debt collection agencies buying these bad debts very cheaply and pursuing the debtor even after the six year time limit has passed. The debt should also be erased from any credit file after this length of time. If a lender does write off a debt it does not really disappear. Years can pass and then suddenly out of the blue the debt can resurface either through the original lender or through a debt collection agency. People who are struggling with their debts should always seek appropriate debt solutions through agencies such as the Citizens Advice. I left the uk 6 years ago leaving behind quite a lot of debt with banks credit card and the tax man, I have had no comunication with them since leaving. if I came back to live and work in the uk now will my debts still be pursued.thanks. buk.